I’m sure that we are all not from the same country, and we all can’t read and understand all languages in the world, and as a blogger my self, sometimes i want to translate some blogs from various languages to English. The usual way is to copy the page url and then i go to google translate service and paste the url there then hit enter. We can all short cut all this steps for our visitors by adding a great widget to our blog. it’s easy and one step trick. Leave the title empty or type any title for your widget, and in the content area paste the following code. 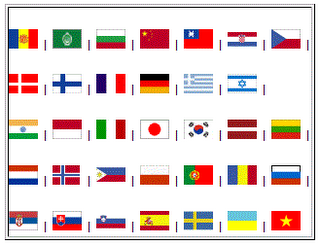 0 Respones to "Google Translate Flags Widget into blog For Blogger"